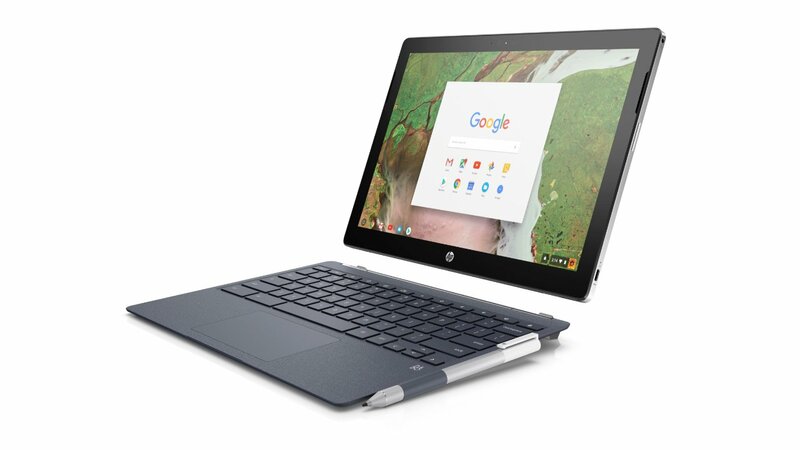 Although the Intel Pentium Gold 4415Y processor was expected to remain a Microsoft Surface Go-exclusive, it looks like the HP Chromebook x2 convertible will soon get a version with it inside as well. Even more, a variant with an Intel Core i5-7Y54 inside is also on its way. Both have been spotted in a leaked technical document. A recently leaked HP technical document reveals that the Chromebook x2 will soon get two new processor options. The most interesting part is that one of these two processors is the Intel Pentium “Gold” 4415Y, a chip that was believed to remain exclusively available for the recently released Microsoft Surface Go. According to the aforementioned document, the HP Chromebook x2 will soon be available with three processor options: the already available Intel Core m3 7Y30, the Intel Pentium 4415Y we mentioned above, as well as the Intel Core i5 7Y54. The other specs and options will remain the same, including the 12.3-inch WLED display with 2,400 x 1,600 pixels, up to 64 GB of memory, 32 GB or 64 GB of eMMC storage, 5 MP and 13 MP cameras, Bang & Olufsen Play dual speakers, and so on. When compared to the Microsoft Surface Go, the only problems of the HP Chromebook x2 are its higher starting price tag of around US$600 and the fact that it does not run Windows. On the other hand, many customers will probably be drawn by the 2-inch larger display. These being said, would you choose the HP Chromebook x2 or the Surface Go? Will the price be a problem? Let us know in the comments.